The rapper will remain in jail as he awaits trial on murder and robbery charges. A judge has denied a motion from Tay-K's attorneys to secure a bond for the rapper behind "The Race." The controversial artist will remain in jail awaiting trail for murder and robbery charges in the June 2016 death of Ethan Walker, according to a report in The Fort Worth Star-Telegram. In his decision, Texas State District Judge Wayne Salvant said he was "very troubled" by the case and its surrounding circumstances, including Tay-K's popularity. After police captured Tay-K (real name Taymor McIntyre) in connection with Walker's death, officials allege that McIntyre cut off his ankle monitor and committed other serious crimes, including the murder of 23-year-old Mark Anthony Saldivar and 65-year-old Skip Pepe. McIntyre was captured in New Jersey on June 20, 2017. During this time, McIntyre filmed the music video for "The Race." The song went on to find success on the Billboard Hot 100 chart, peaking at No. 44, and was eventually certified platinum. 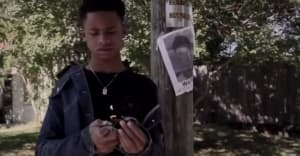 Judge Salvant spoke harshly of the allegations against Tay-K, his performance in the video for "The Race," and its popularity. "It's my understanding that people throughout this country have 'Free Tay-K signs up or 'goto' funds to fund his defence and this court has a problem with that," Salvant said. "I don't know what this country has become when people can go out and allegedly commit heinous crimes and be glorified for it." Tay-K's attorneys, Jeff Kearney and Reagan Wynn, will be able to appeal the judge's decision.